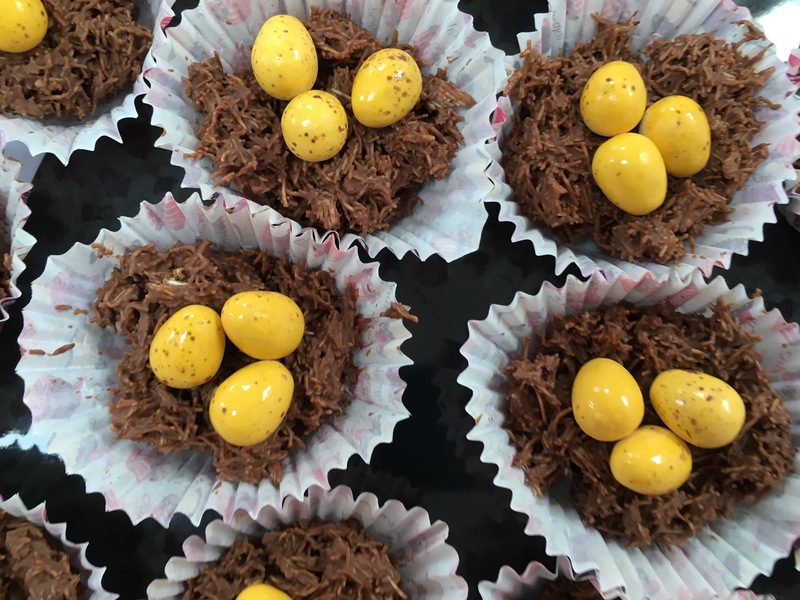 We started off by making chocolate nests – shredded wheat, chocolate and mini eggs make a wonderful birds nest treat. Amazingly we managed to find mini eggs in the shops even though it isn’t Easter. This is such an easy treat to make with toddlers that they can actually help with. For our sensory play we created a giant birds nest just like Creekside Learning. 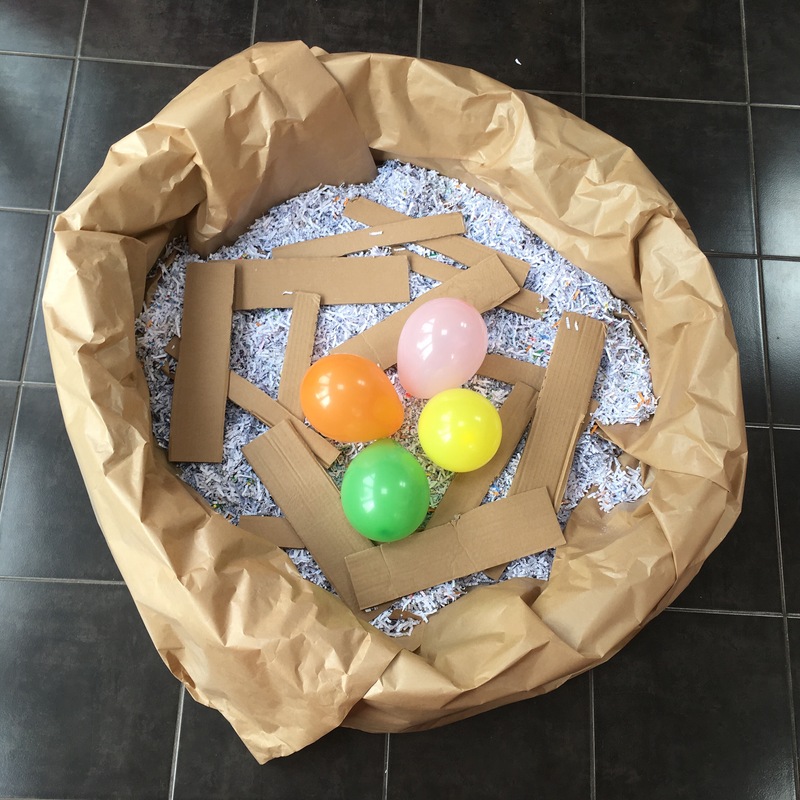 We played “treasure hunt” to collect the ‘twigs’ (bits of cardboard) and then added some ‘eggs’ (balloons). It was good fun to sit in, as well as pretend to sleep in. The balloons especially were lots of fun, and Bobcat quickly discovered the cardboard ‘twigs’ made a good substitute for tennis rackets! Next we made bird feeders for the real birds. 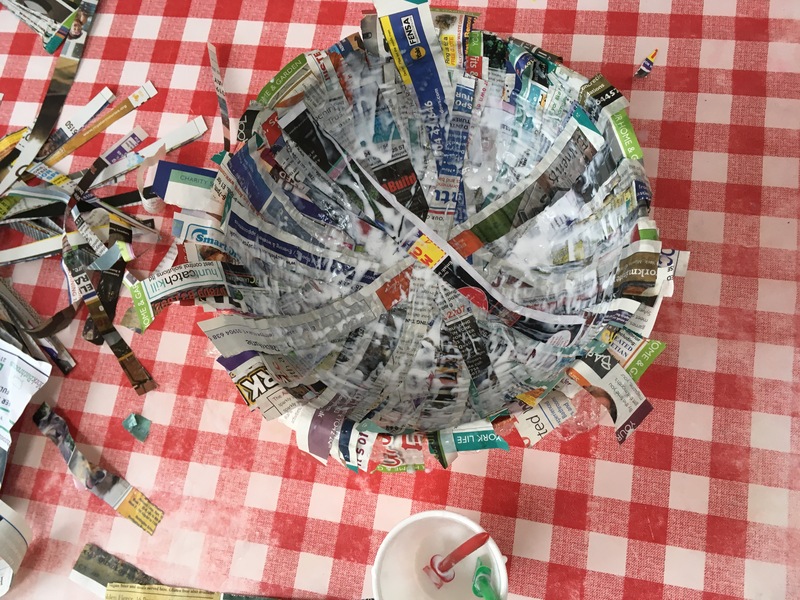 We have done this in different ways in the past (often with kitchen rolls and seeds) but this was definitely the simplest version of a bird feeder we have done. It’s literally just hoop shaped cereal on a pipe cleaner. It was also good threading practice. 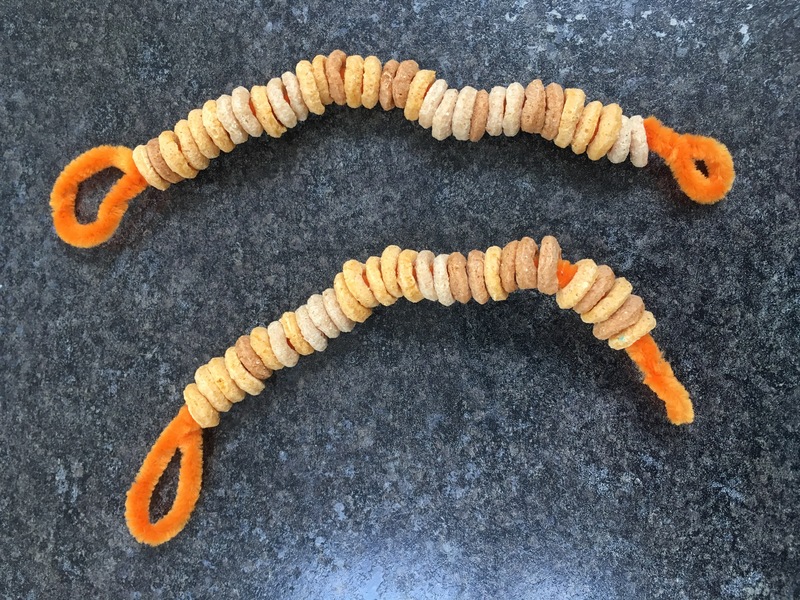 Bobcat really enjoyed this activity and made two, Little Monkey just saw food and ate literally every piece of cereal that was put in front of her, whether it was on a pipe cleaner or not! 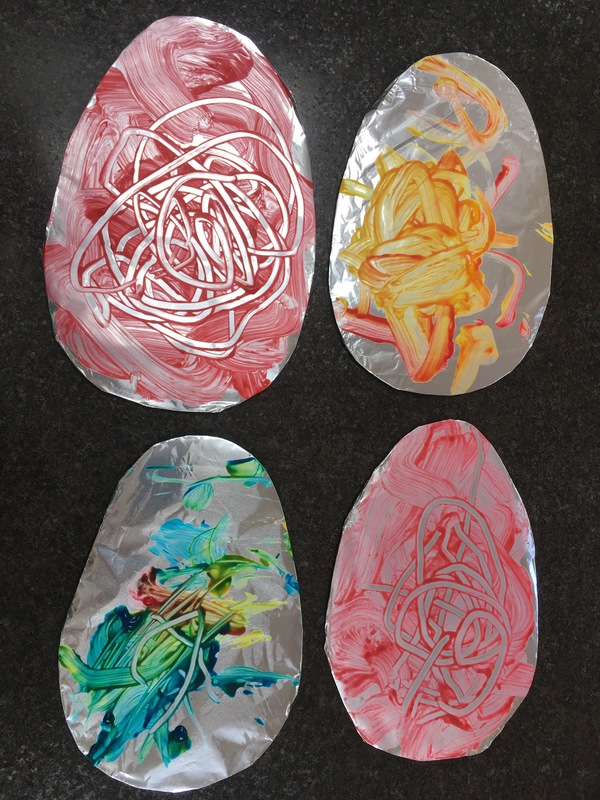 Making foil eggs like the ones by A Mommy’s Adventures was lots of fun. Little Monkey really got into painting the foil and Bobcat loved making marks on his with a cotton-wool bud. 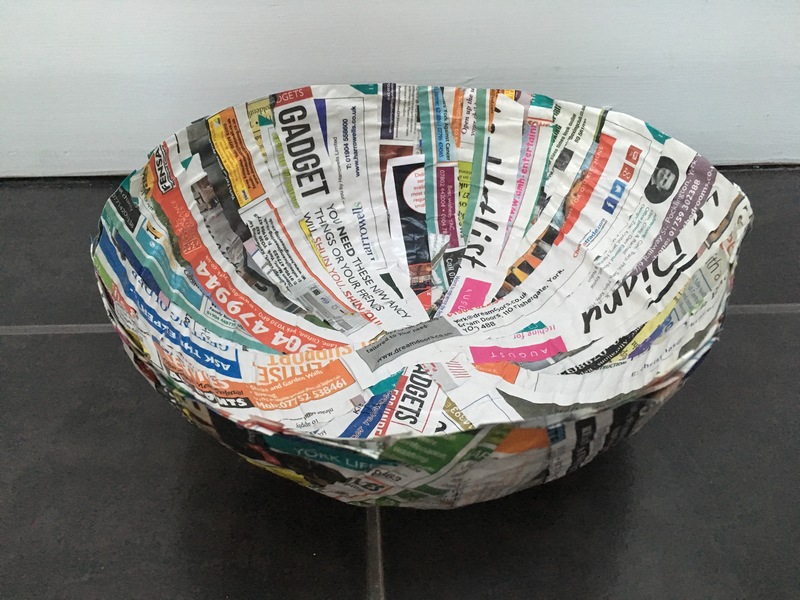 Whilst Little Monkey had a nap, Bobcat and I made a paper bowl nest like Art Bar. I wasn’t sure how this would turn out – it definitely ended up looking much more like a bowl than a nest, but the process was good fun. After nap time we made some toilet roll birds. We painted the rolls, then gave them time to dry before adding feathers, eyes and beaks. 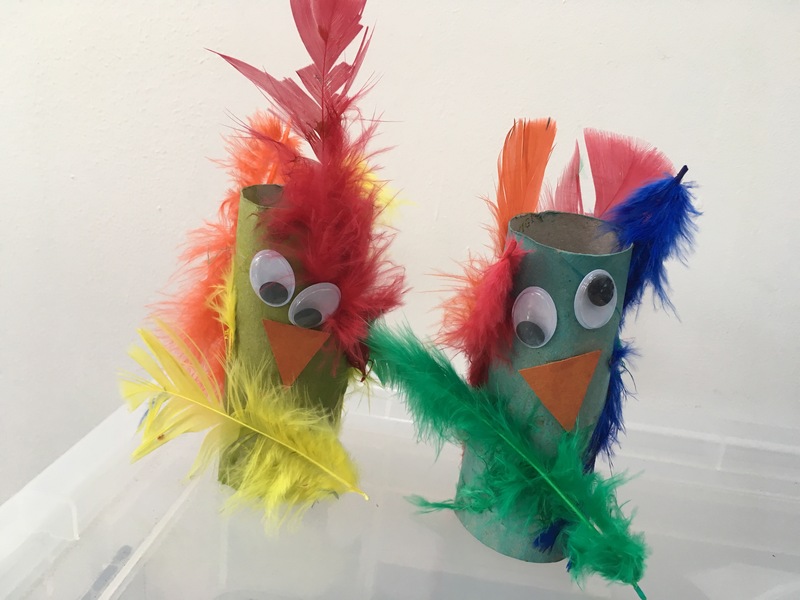 The way the eyes ended up made our birds look slightly crazy! 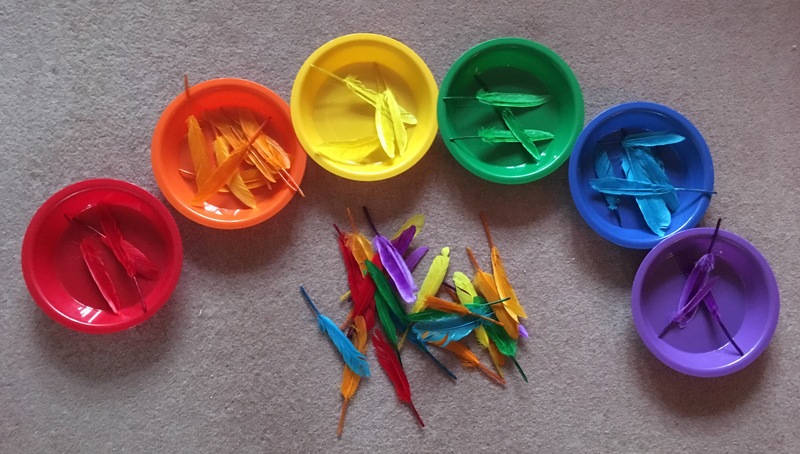 We also bought some coloured feathers and used our new sorting bowls to do some colour matching and counting. This gave lots of opportunities for Bobcat to practice his counting, adding (how many blue in the bowl + blue not in the bowl) and comparing (which has more etc). It’s been nice to do a theme that is something Little Monkey has been really interested in, but also gives Bobcat lots of opportunities to learn new things. He really enjoyed watching some videos of eggs hatching in a nest on YouTube, and we learnt all about things like beaks, feathers, nests etc. And of course the highlight of the week was going to see some real birds in the bird garden at Lotherton Hall with Grandma and Grandpa!